and fill out the credit card information on the form!!! Go to our Store!! and indicate which show you want in the note section of the donation form. Orders outside the United States add $15.00 USD for shipping per show. Use our Donate Button to order. 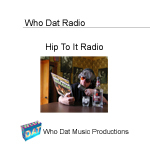 Who Dat Music Productions ® All Rights Reserved.